Having to repair damage to a rental property is a concern of every landlord. The cost of damage goes beyond restoring the unit — it also means longer vacancies while the property is being repaired. These three steps can help to minimize losses from damage, and keep a property occupied. Don’t show a property to prospective renters until it is in prime condition. This helps to reduce damages in two ways. First, the tenant can see firsthand just how good the property can look, and it sets the bar for how the property must be maintained. Also, a tidy, well-kept property attracts the best tenants — the ones who are the least likely to cause damage in the first place. Don’t ignore the outside. The view from the curb makes the first impression. A tenant orientation program will minimize the risk of damage by making it clear what the tenant needs to do to maintain the property. How to contact the landlord. Make certain the tenant understands the need to call the landlord at the first sign of a problem. Follow up promptly and don’t make the tenant feel bad for reporting the issue. A face-to-face meeting with the tenant is the best way to conduct an orientation. In addition, some landlords place orientation information on their website for easy reference, or record a short video for the tenant to view. A landlord should collect the largest allowable security deposit from each tenant — and most do. But a problem arises when a landlord places too much stock on the deposit. They may become complacent, believing that they are adequately protected from income loss. Taking deposit deductions is not only an accounting hassle, placing the landlord at risk of a legal dispute, but it means having to take the time to restore the unit before the next tenant moves in. Vacancies cause further income loss. Oftentimes, the deposit is not enough to cover all of the losses, and the landlord must pursue the tenant in collections, which could take months. The better philosophy is to aim for a full return of the tenant’s deposit. Pretend that the deposit is not there, so the focus remains on making the tenant keep the property in good shape. 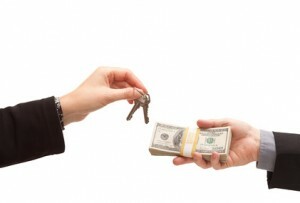 Preserve the deposit as an incentive for the tenant. Once the tenant thinks they will never get the deposit back, the motivation is lost and they will do little or nothing to care for the property. Let tenants know you want to be able to give them back the full deposit, because that signals a successful tenancy. Reward good conduct, and point out bad conduct routinely throughout the lease. Staying involved and inspecting the property routinely will go far towards getting the property back in good condition, and on time for the next tenant. Also, don’t forget to give the tenants positive feedback and tell them how you appreciate it when they promptly report problems, keep their unit clean, help clean the hallway, or help in any way. Encourage reports from your tenants of bad behavior of other tenants etc. Let them know that they will not be involved unless there is an eviction or other action needed. This has worked with me for years. I have tenants that decorate their apartments like out of a magazine, and they want the other tenants to respect where they live. Be available for late night calls on weekends, and/or Holidays… I also make sure I thank my great tenants for making my job easier by taking care of their apartment and their area… Good tenant screening and back ground checks makes for great tenants and and easier job! Good feedback…I am sure that most property managers/landlords do something to make their good tenants feel appreciated. As we do here with this blog in attempting to stay in touch with YOU, so too should property managers/landlords stay in touch with tenants. Either by way of a weekly newsletter, blog, face to face, whatever works. Good tenants appreciate being treated with respect and like to live where they are appreciated. Most of you have been around for a long time and know how the game works, but we must never become to complacent … in what we do. I’ve been around for a long time and I still learn things that make me go….ahhhh never thought of that.